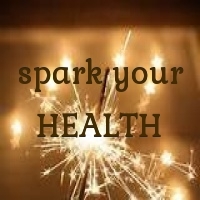 Together let’s spark your HEALTH! Your physical vehicle is comprised of the Earth and surrounding atomic residue of past solar systems, stars, etc. To nourish the body, you must realize this. In modern society we are divorced from each other and this sparks depression within us. It sparks isolation, and our spirit suffers. Depression is a spiritual sickness – the spirit is telling you something is wrong but you are taught to ignore it – and when you try to, you are re-enforced by those around you who have also stifled their spirits – that the world isn’t that way, the world doesn’t work that way, you have to grow up! Be realistic! Get your life together! This is why during depression most people wish to sleep a lot, as sleep is the action where our spirit is able to learn, re-charge, and gather information. This is why people who have had traumatic 3D experiences are afraid to sleep — they are literally stuck in this reality (insomnia), feel lonely, and feel they cannot connect to their spirit. Many doctors state that sleep helps the body to regenerate. This is true, but this is true because this is when our spirit regenerates. Sicknesses are born of spiritual and environmental factors. To nurture your physical body you must realize its symbiotic connection to the world around it. Most people try to eat purely organic, drink purely ionized water, etc. This is greatly beneficial to the body, as it is the food that is most in tune with the body. However, there are those who cannot afford – at this time – to eat such food. It’s a powerful act to give energy to your food by asking the properties of the food to nourish you, to bring strength to your body, to nourish your development, and spirit. This is what praying is, however, people are uncomfortable with this word. Invoke energy, give energy to your food, to yourself, and express gratitude to the universe. It is also possible to draw energy from the earth, from trees, and from the sun when feeling sick, misaligned or disconnected. It is important to practice during these times, so that if you are ever hungry you may know how to draw energy from the sun to energize yourself. Ignore calories, most of science is wrong — with good intentions– but not on par with what Goddess knows. Calories are useless, as what matters is the quality of energy you are consuming. When you learn that you can give this energy to your food you will be liberated from most scams. Live in harmony with your environment. Read, or use your electronics outside — if just to breathe in real air. When in your car, opt for real air, and not the air-conditioning. Laugh when your hair gets messy from the wind. As you further this, you will become more attuned to the subtle voice of your body. You know when you feel full, when you’d rather not eat something (even if it has long been a favorite), when to sleep, when to rise, etc. This is harmonious living. Look in the mirror everyday and tell yourself, “I love you” at least three times. If it feels awkward, or wrong then you must do it at least 20 times the first time. Just to get a good dose of self-love going. Care for yourself energetically, and everything else naturally falls into place.